Owned by the national railroads of France and Switzerland, the Rail Europe Group (REG) combines the maps, schedules and fares of more than 50 different train companies across Europe, creating a one-stop-shop for travel agents to plan and book European rail travel. There are several companies that distribute European rail in North America, but only REG is the largest. What sets it apart from its competitors has nothing to do with the pleasure of traveling by rail in Europe, because they’re all selling that. What makes REG so special is how well it distributes and communicates what is available in European trains through agents, operators and the media. 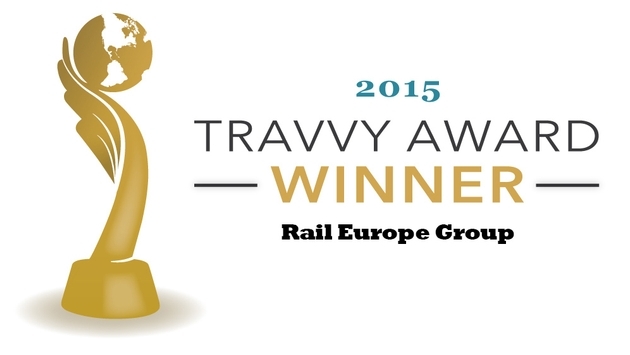 The reason our agent readers voted REG a Travvy Award as the Best Rail Travel Company rests heavily on REG’s determination to make their booking process adapt to whoever is booking. They take into account the fact that technological advances in communication have been embraced in differing degrees by different agents. Some are comfortable in email, others on chats, some directly through the website and some prefer debriefing one of REG’s incredibly educated sales agents by phone. The company has two call centers: one in Rosemont, Illinois, just outside of Chicago and another in White Plains, New York. Both are staffed with extremely knowledgeable people at every station. Their expertize goes beyond just rail. They know Europe as a real travel specialist does, by its culture, its history, its secret places and its top attractions. They also know what agents need to close the sale. When agents contact REG to research and/or book their clients they enter the network through a multitude of options, thanks to a strategic approach, which Frederic Langlois, REG’s president & CEO, calls “Channel Neutrality.” REG also keeps agents educated through plenty of agent training online using the Euronet software. They also do WebEx meetings and GoTo Meetings. The company has created a series of travel agent training modules called TRAC, The Rail Agent Course. REG’s dedication to agents was made evident when they dropped Amtrak product after Amtrak decided to eliminate commission. Though Amtrak was never a big product for REG, they wanted no association with a company that discarded their most important partners that way. It’s not only the agent who benefits from REG’s thoroughness. REG has always kept the media completely up to date on what’s available in terms of old and new rail travel products. For example, Eurail unveiled a new set of products in January. REG responded immediately with a flurry of press releases to let the media and the market know what’s available. REG knows that they have to be especially effective in communicating and educating agents, tour operators, travel writers and travelers about European rail in order to make that whole chain feel comfortable with a means of travel that most car-loving Americans have yet to embrace at home. Whatever your feelings are about Amtrak, it’s not in the class of rail travel in Europe in terms of speed or comfort. The example of Amtrak makes REG’s job as a communicator all the more imperative. The market here needs to know that riding the rail in Europe is a different experience than riding a commuter train on the Long Island Rail Road.